"Even though they are identified as male characters and possess many human traits and characteristics ... they remain puppets, and do not have a sexual orientation," Sesame Street said in a statement. 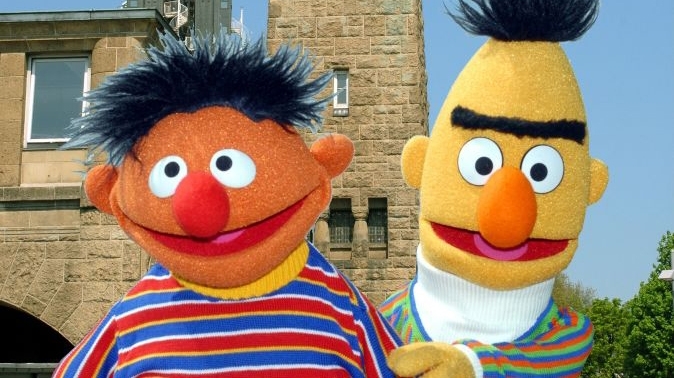 (NEW YORK) — Following an interview given by a former “Sesame Street” writer who said he wrote the beloved characters Bert and Ernie as if they were gay, the show has said otherwise. When referencing “Arnie,” the writer was talking about Arnold Glassman, his partner of 20 years before he died in 2003. And while a 2013 New Yorker cover suggested the pair were gay, the show released a similar statement at the time, once again saying puppets don’t have a sexual orientation.